Argan oil, cranberries, egg whites, sunflower seeds, and almond milk, can all help the strength and health of hair. Each of these natural vitamin enriched foods can create a great head of hair from scalp to ends. Eating these foods along with a balanced diet can help your hair look its best all year round! 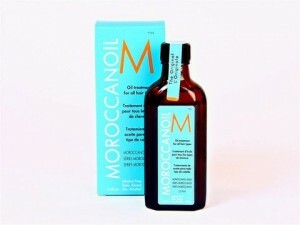 Moroccanoil is a great product made with argan oil, and it naturally nourishes hair. Trisha’s Salon has the Moroccanoil line including the oil treatment for all hair types! Ask your stylist to use this oil at your next appointment to get the full effect. Call 610.670.8557 or email info@trishasalon.com to book an appointment. « What hair brush should you use?